The vessel is carved and pierced as a winged dragon. Its mane, tail and wings are finely carved. 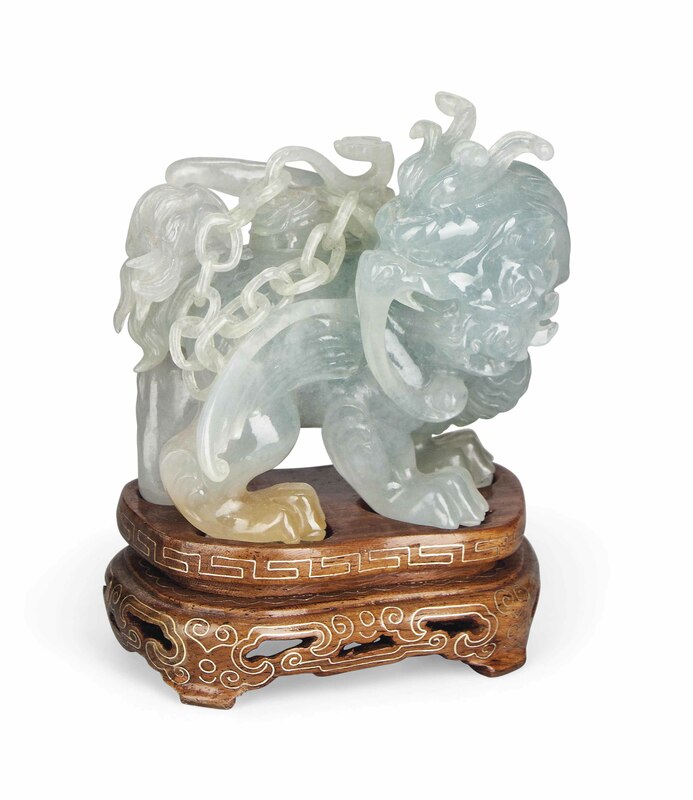 The opening on its back has a ruyi shaped cover and is attached to the beast with a chain. The stone is of a bright and pale sea-green tone with a yellow inclusion to the beast's right hind paw.